Project Coordination has been awarded the construction of the $4m Hu Guo Bao En Buddhist Temple in the suburb of Nicholls ACT. 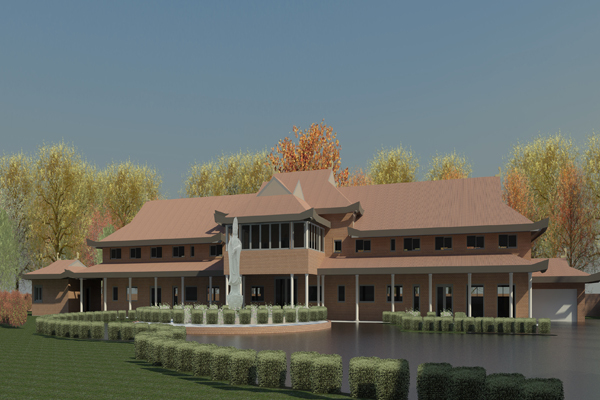 The 1500m2 project includes a Temple, Prayer, Conference and Display Rooms, Dining Area and Commercial Kitchen, as well as accommodation for the Abbot and Nuns. The building has an ornate roof and extensive landscaping and features an 18 tonne granite statue that has been sculpted in China. Construction will commence in September 2014. Please visit www.australia-buddhism.org.au for more information about our new Client.